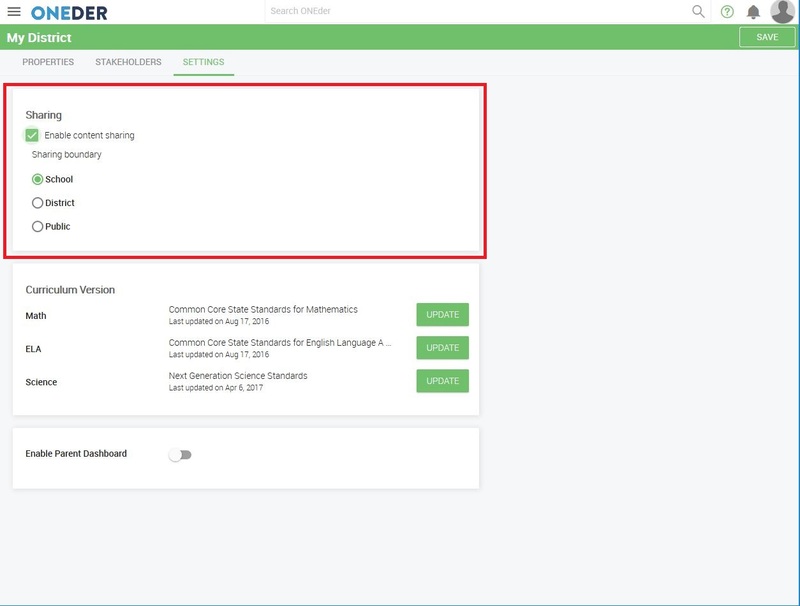 ONEder admins have the ability to view and moderate lessons shared to the ONEder Library by staff in their district. To access the admin view of the ONEder Library, click on the hamburger menu in the upper left corner and select Library. 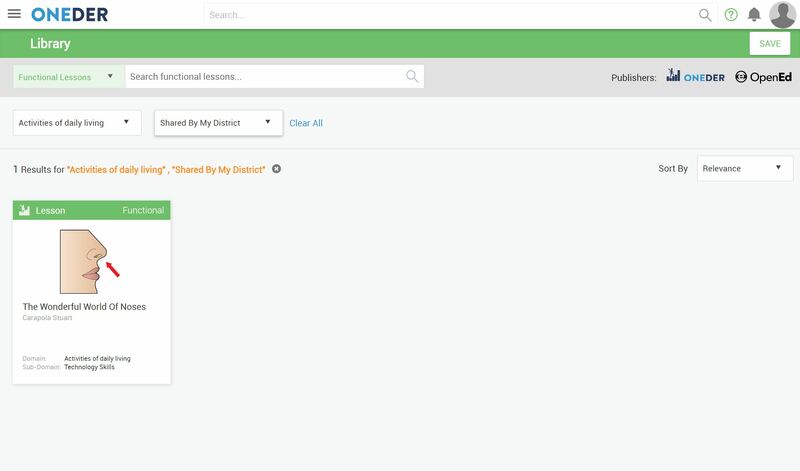 The Library view in the Admin Portal has all the same search filters that the Editor does, along with the same ability to preview lessons and activities. The big difference, however, is that the Admin Portal’s view allows you to remove lessons shared by your district’s Staff. This is done by rolling your mouse over the lesson in question and clicking DELETE. ONEder admins also have the ability to define the staff’s ability to share content to the Lesson Library. Staff can be allowed to share lessons to others in their school, others in their district, to all ONEder users, or even disable sharing entirely. Sharing is configured at both the district and school level to allow for more flexibility in case you want sharing to be handled differently at each school in your district. In the event of a conflict between the district and school level settings, the MORE RESTRICTIVE setting always wins. Sharing is configured by going to the Settings tab on either the My District page or a school’s main page. Sharing needs to at least be enabled in both locations to work.